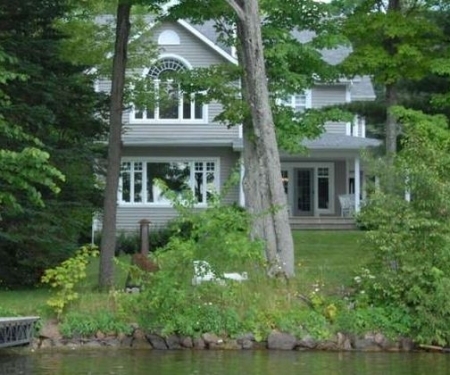 Rent this luxurious house by the Lake Magog, on a vast wooded land. Wake up hearing birds signing , admire the exceptional view of Mount Orford, eat while contemplating an impressive sunset. Benefit from one of the best beaches of the lake and the private pier: ideal for swimming and nautical activities. This peaceful lake is fifteen kilometers long and has two navigable rivers. 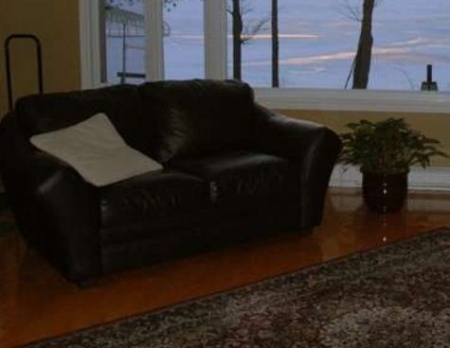 Located in the Eastern Townships, green region of Quebec, at 15 minutes by car of Sherbrooke (large university city with all services) and Magog (small touristic village). 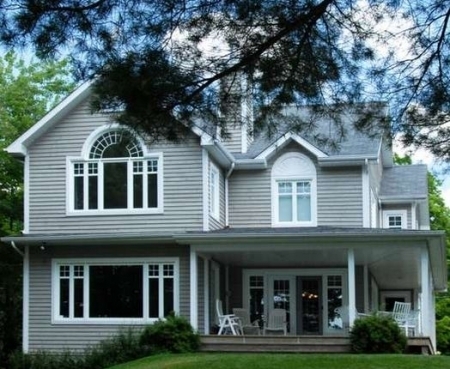 Three stories with very large rooms, all comfort with exceptionnal fenestration. Three very vast bedrooms. 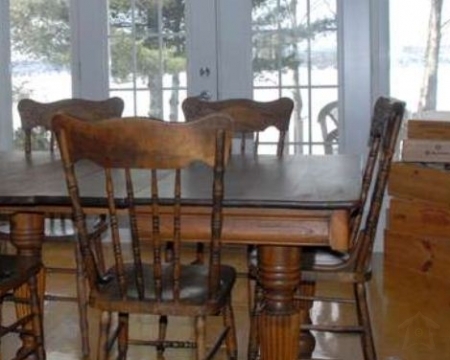 Dining room with french doors opening on the lake. Luxurious kitchen with black granit and stainless steel. Three very large bedrooms: One very large bed (King size), one large bed (Queen size) and two small beds. Complete bedding provided. Livingroom: Vast livingroom with a fireplace, large television, video recorder et DVD player, numerical cable with high speed wireless Internet. Kitchen : Superior quality household appliances and dishwasher in stainless steel, microwave oven, counter and central block in black granit. Dishes and kitchen utensil provided. Bathrooms: Complete bathroom with large bath and shower on the second floor. Washroom with washing and drying machines on the first floor. Shower-room in the basement. Towels provided.